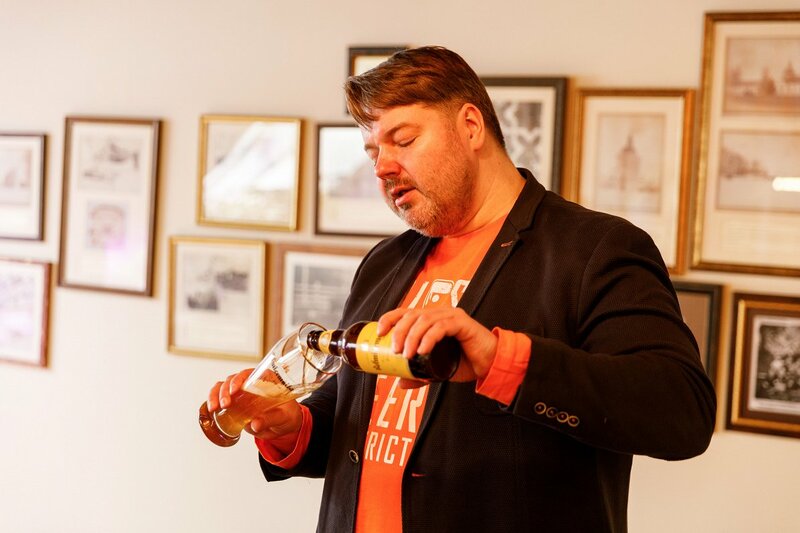 With a history of alcoholism in the family, I was naturally fit to take part in a beer tasting tour in the Vidzeme cultural region, northeastern Latvia. The hilliest part of the country, Vidzeme conjures up images of desolately cold winters, soft-spoken seniors engaged in cross-country skiing, as well as dainty houses with slowly smoking chimneys crowding the small but culturally influential towns of Cēsis and Valmiera. Vidzeme is also my highland home where I'll have to return when the coming sea-rise swallows the capital. The good news is that, apparently, there'll be plenty of craft beer around when that dreaded day comes. The guided day tour organized by Rīga's Beer District – an extension of their tour of the capital – offers proof of Latvia's steadily growing craft beer world and takes you from the heart of Rīga's hipster district near Miera iela to three selected breweries, starting with Valmiermuiža around an hour and a half away from the capital. 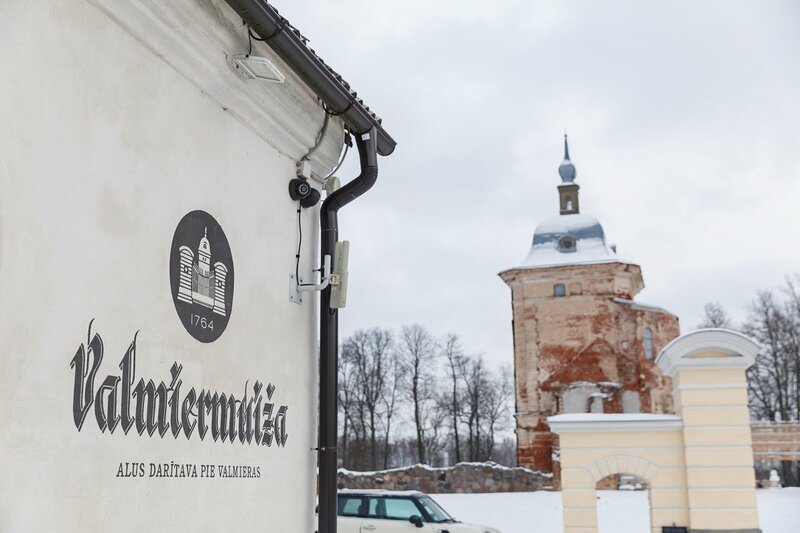 After a sleepy drive through the northern edge of the Gauja National Park, marked by an amusing look at the history of beer and its place in Latvia, courtesy of the guide, the tour proper starts off right outside Valmiera at the Valmiermuižas alus – alus means beer – brewery situated by the ruins of the eponymous manor, a notable seat of Baltic Germans who have markedly influenced local beer production since their arrival in the 13th century. Its spacious former granary has been turned into a classy restaurant, on the second story of which is a beer tap room that also serves as a tasting place. According to landlord Aigars Ruņģis, the idea for organizing this tour, to be unveiled soon for the public at large, came from a whiskey tour he took in Scotland. Beer tours could become Latvia's whiskey tours, so it goes, and beer could become Latvia's whiskey. That would, of course, make Vidzeme Latvia's Highlands. As you can see, Ruņģis is big on parallels. After a thorough look at the brewery, which is apparently popular with foreigners as about 3,000 of its 9,000 guests came from abroad last year, we were ushered into the tasting room. Tiny tulip glasses were brought, filled with substances ranging from amber to lacquer-black, as Ruņģis presented a crash course in beer tasting (or enjoying, as we were encouraged to say instead). To mention just one, their classic dark lager, which can be said to taste like liquid rye bread, is a perfect wintry drink, calorie- and otherwise, and, at the back of your mouth, leaves a sated feeling of satisfaction, like of having perfectly executed a withering comeback. You can expect appropriate snacks, such as Latvian garlic bread (don't confuse it with anything store-bought) as well as incredible malt caramels in your degustation experience. As concerns the Valmiermuižas brand, there is a thread of benign patriotism running through Ruņģis' presentation. He'd like beer to again be present through the three fateful occasions (godi) of Latvian life – christenings, weddings and funerals – just as he'd like to have beer presented to visiting diplomats in lieu of French wine. May that come to pass! The emphasis on tradition is laudable, though you can overdo it. Heralding Valmiermuiža as the birthplace of the Moravian Church in Latvia – the fraternity did a wonderful job of promoting literacy and as such is part of the national consciousness – you can easily overlook the fact that church brothers also launched the first local temperance campaigns. Where to find Valmiermuižas: Any decent bar, and your local Rimi. The bus then rolls through the town of Valmiera, with its funny rib-cage bridge over the river Gauja, for a half-an-hour drive to Malduguns (the name means will-o'-the-wisp) brewery at Rauna. Founded by poet Krišjānis Zeļģis – his second book of poems was just released in English – it looks much more a one-man operation (to be precise, seven people work there). After the glamour of Valmiermuižas, the contrast upon entering the brewery, situated in an old factory building, is a bit like going straight from a chandeliered Jazz-Age ball to a warehouse rave. Established just five years ago, Malduguns recently acquired new premises at Rauna and doubled their output, which is nowhere near that of Valmiermuižas, however. But that is offset by inventiveness, as Malduguns make many times as much varieties of often quirky beer despite having just a fraction of the workforce. They also differ in that they deal almost exclusively in bitter ales as opposed to lagers in Valmiermuiža and could be said to favor a poetic and experimental approach. "When we started experimenting, we did not know whether the result will be drinkable," said Zeļģis frankly, presenting their new variety Pali (spring flood), based on wild yeast found in birch sap and supplemented with redcurrant. That being said, while Pali is a successful experiment – it's like fizzy spring lemonade with a hint of the inimitable sour kick of fermented birch sap – other offerings of Malduguns, at least before you've tried them, may seem to have been conceived in moments of Dionysian ecstasy. Among these are a garlic beer, then Pelēcis – a porter with peat and pu-erh tea – as well as Beet the Carrot (self-explanatory), and of course #iamintrovert, their most literary production to date, featuring the potato, the éminence grise of Latvian cuisine. With Malduguns, the "Latvian connection" is not as pronounced, but it's still present, particularly in their most popular variety Cilpa (Noose), which also happens to be my favorite. Cilpa has a stylized depiction of Zeltene, the traditional Latvian blonde, on its label, suggestive of the postmodern use of Latvian symbols characteristic of 90s' and early 2000s' art. For me, the hops-heavy drink itself has an oddly tonic effect, which has enabled many a night of chasing the will-o'-the-wisp. The poetic connection is also evident in their catalog, which lists beers named Picklock, Stockholm Syndrome, Sunstroke, Side-slip, 1984, The Dark Side, The Last Guest, and more. Where to find Malduguns: Rīga's underground bars, Rimi hypermarkets. The tour concludes at the homely – in the British English sense – Raiskumietis brewery, a spick and span brick building not nearly as elegant but just as inviting as Valmiermuižas' refitted granary, about thirty minutes away from our previous stop in Rauna. Of its owner Donāts Čudorāns, one can say respectfully that he is one of the soft-spoken seniors of Vidzeme mentioned earlier. Touring the brewery – the family business also makes bread and smoked meat – you are bound to forgive every diminutive casually tossed about by the guide, as the product is clearly a labor of love (Latvians have an odd relationship with diminutives, as their use in a culinary context can make the listener feel like a pampered infant). For the most part, it's also manual labor, and, as firewood is used for brewing and for making bread, the entire building is permeated with a smell reminiscent of a grandfatherly effort of making wheat beer by the wood-burning stove. 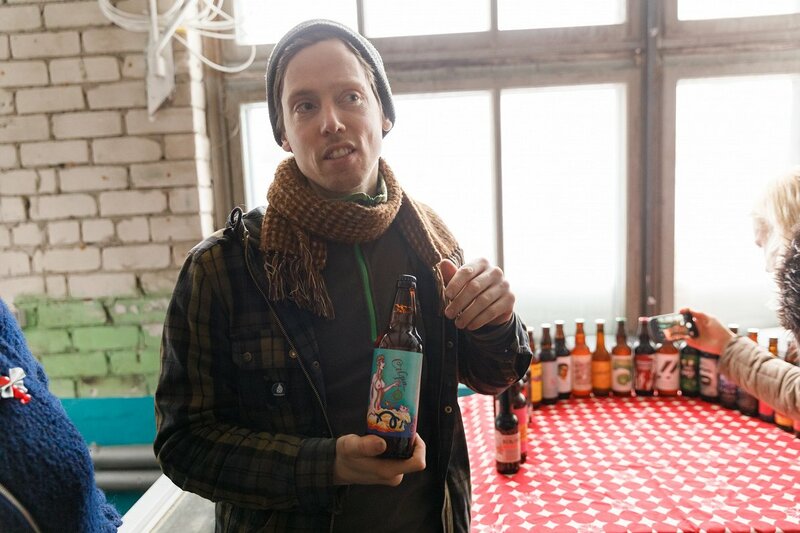 As concerns their offering, just like Valmiermuižas, Raiskumietis opts for a tried-and-true approach offering just three varieties, namely cherry, as well as light and dark lager. If Valmiermuižas' dark lager was closer to a porter, in that its bite had you aching for something sweet, the Raiskumietis variety is something that self-professed haters of dark beer are encouraged very much to try, seeing as their dark lager is not night-and-day different from the light one. Where to find Raiskumietis: Rīga's bars, Rimi hypermarkets. 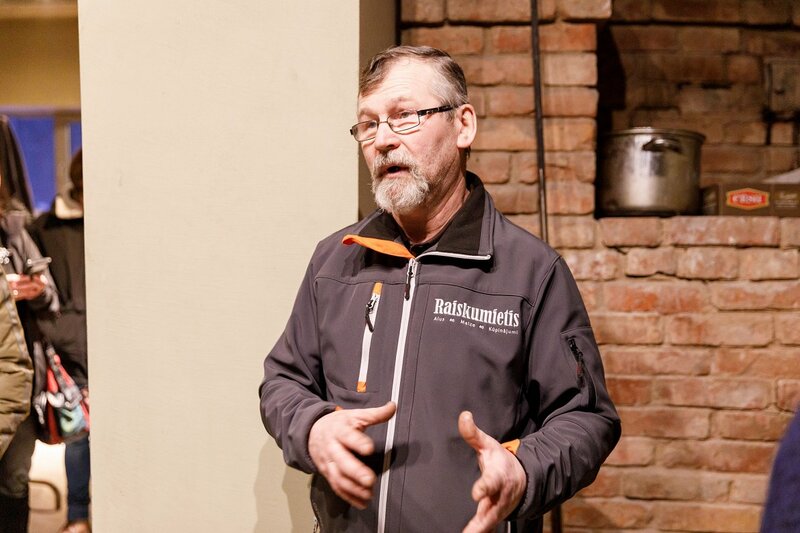 Pointedly, Raiskumietis is the only of the tour's breweries which doesn't export their beer abroad. While the tour could benefit from being more concentrated at Valmiermuiža, and there's some infrastructure, and maybe snacks lacking in Malduguns, such qualms are to be expected and sure to be smoothed out eventually. The guided field trip through breweries in Vidzeme was organized by the Rīga Beer District which also has a tour of Rīga's beer quarter. All of the drinks mentioned here are available at the Valmiermuiža Beer Boutique in Rīga.